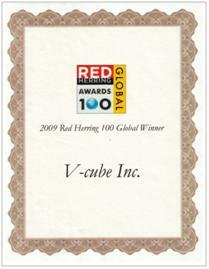 For 10 years, Red Herring's editorial team has diligently surveyed entrepreneurship around the globe. Technology industry executives, investors, and observers have regarded the Red Herring 100 lists as an invaluable instrument to discover and advocate the promising startups that will lead the next wave of disruption and innovation. Red Herring, Inc., founded in 1993, is a media company whose mission is to cover innovation, technology, financing and entrepreneurial activity. Its staff of award-winning journalists tell readers what's first, what matters and most importantly, why. 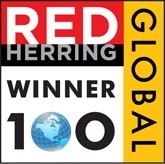 Laguna Niguel, California - Red Herring on Friday announced its Global 100 award in recognition of the leading private companies from North America, Europe, and Asia, celebrating these startups' innovations and technologies across their respective industries.